The Custom seat number window allows you to set custom seat numbering for a table or row of seats. 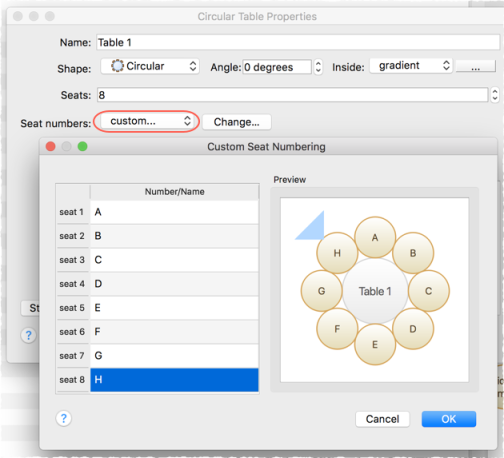 To display this window set Seat numbers to custom or click the Change... button in the Table properties window. The seats are shown in order from the first seat and proceed clockwise. You can use the cursor keys to move up and down. A Preview of the changes is shown, with a marker pointing to the seat currently being edited.